Icebox Canyon is among the narrowest canyons at Red Rock. Cliffs rise hundreds of feet as we negotiate the boulders of past rock falls. Many secrets of Red Rock Canyon are revealed on a hike up Icebox Canyon. 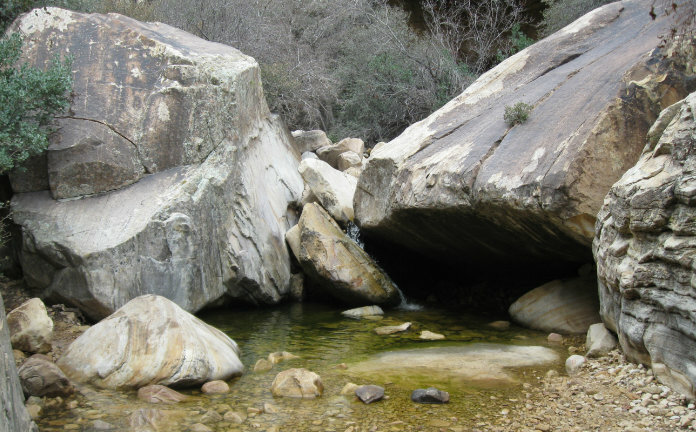 Join us for this strenuous rock scramble hike of 2.5 miles. Ages 12+. Limited space/registration required.